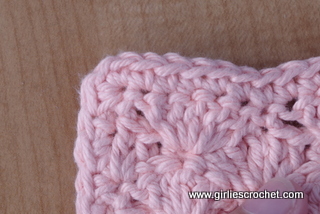 This is an easy free crochet pattern for shell washcloth with photo tutorial in each steps to guide you in your crochet journey. 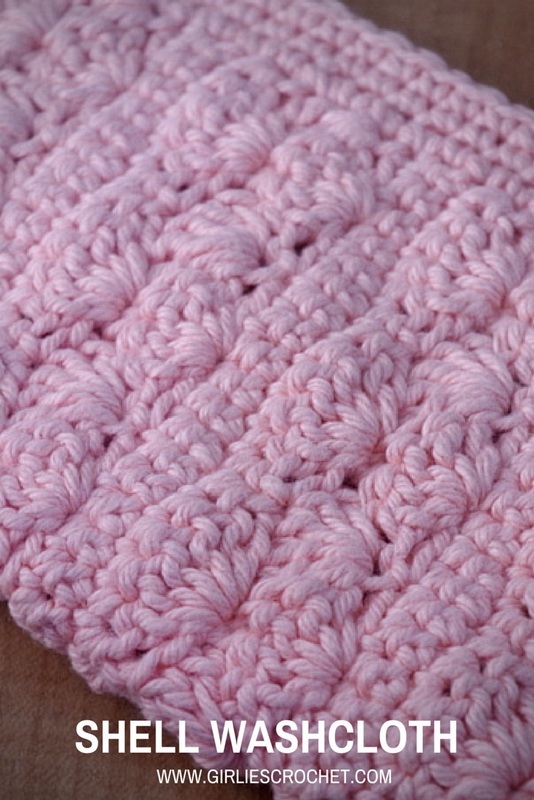 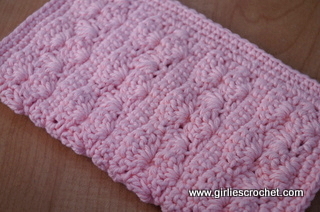 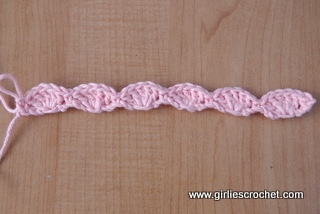 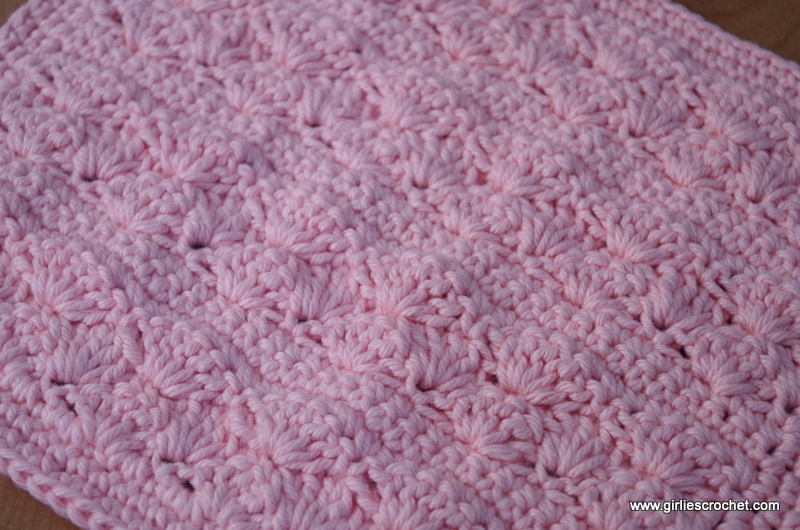 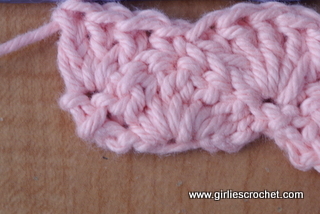 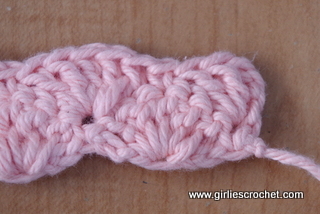 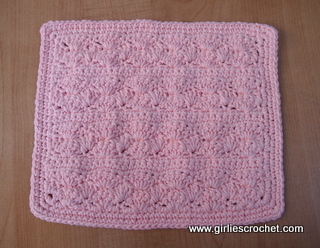 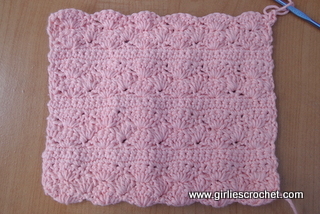 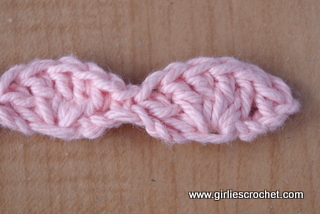 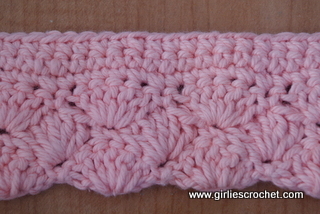 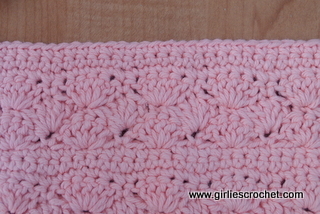 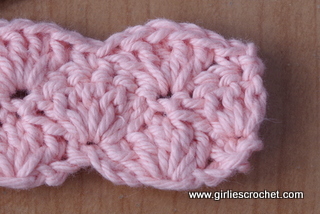 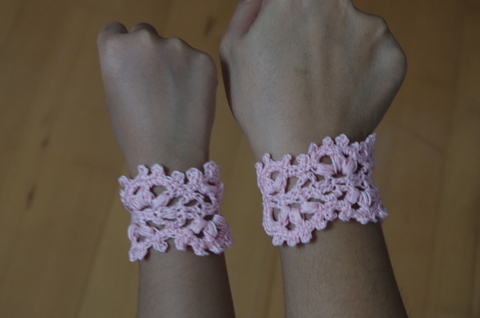 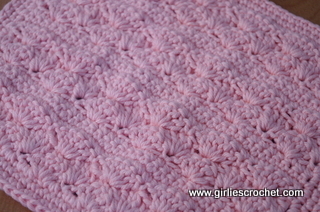 I used Chain and Shell st combination in this shell washcloth pattern. 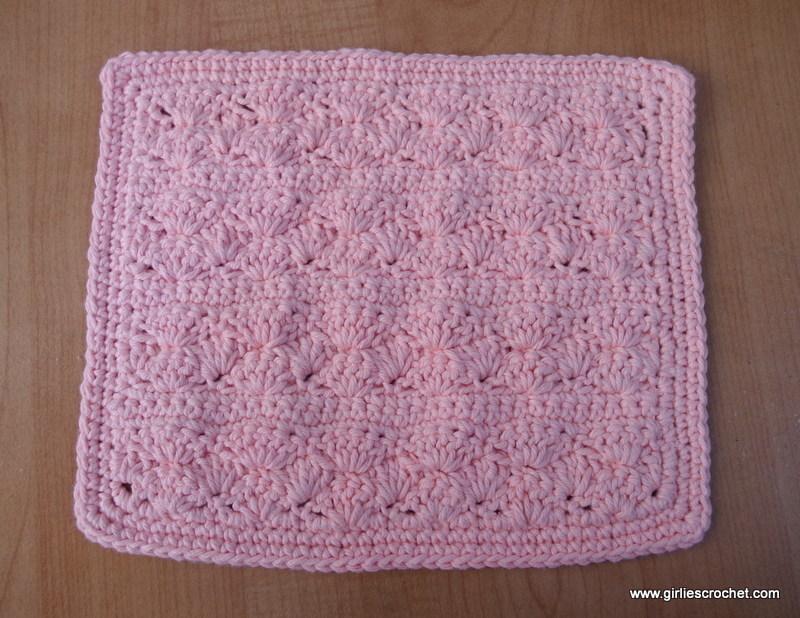 Size of the Washcloth : 9" X 9 1/2 "
Row 3: Ch1, turn, sc in the same st, sk 2dc, shell st in next sc, sk 2dc, (sc in next dc, sk next 2dc, shell st in next sc, sk 2dc) across, sc in last dc. 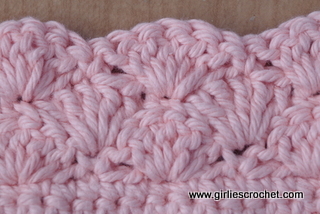 Row 7: Ch1, turn, sc in the same st, sk 2sc, shell st in next sc, sk 2sc, (sc in next sc, sk next 2sc, shell st in next sc, sk 2sc) across, sc in last sc. 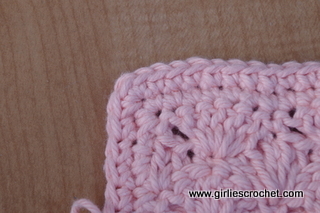 Row 22-24: Repeat Row 4 around but having 3sc in each corner as shown on photo below.